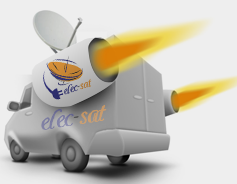 The signal for satellite TV programming is broadcast from a distant location, transfers to a satellite, and finally reaches a satellite dish. The satellite TV receiver then unscrambles the signal so that users can browse the channels and watch their favourite TV programmes on their TV. Usually, standard satellite TV is available via a monthly subscription to a provider, but viewers can opt for a viewing card instead. A satellite viewing card, also called a TV viewing card, looks like a credit card and holds a tiny chip inside. The chip unscrambles only those channels for which the user pays. You can pay a monthly fee to have your provider set up, support, and host your satellite viewing card for you, or you can host it yourself, set up the channels, and alter any settings as needed. SKY Viewing Card are among the most popular choices on the market. The company offers numerous choices, among them the option to view a 3D channel and over 200 free-to-air (FTA) channels. Other companies sell cards that specialise in sports channels or adult entertainment channels. 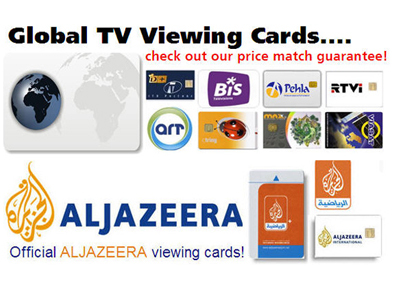 TV viewing cards packed with international choices are available as well. Those interested in French channels can purchase an AB Sat viewing card, while others may be more interested in an Al Jazeera International or ADMC Abu Dhabi Sports card. Sky Italia, Sky Germany, and TNT SAT France options allow you to broaden your horizons with dozens of fascinating programmes. Companies that offer cards for British and European content often include options with American content as well, including channels such as Fox and NBC.